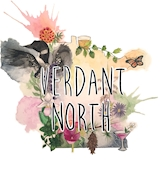 Buy Verdant North a Coffee. ko-fi.com/verdantnorth - Ko-fi ❤️ Where creators get paid by fans, with a 'Buy Me a Coffee' button. Hello There! We're Verdant North. A team of creative people making a garden podcast for people who like cocktails, landscaping, veggie growing, pollinator gardens, and outdoor entertaining. We focus mostly on US zones 3, 4, &5 featuring the MidWest. We work with MN local artists, experts, and talented techs. Thanks for listening on itunes, stitcher, soundcloud or google play. Secured Payments. Support goes to Verdant North's account. Upgrade Verdant North to a yearly Gold Membership with a one-time payment.